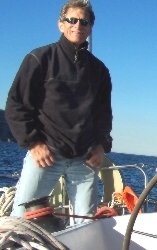 Born in Aberdeen, Scotland, Peter has sailed some 70,000 ocean miles, including three Atlantic crossings, one trans-Pacific, eight Tasman/Coral Sea crossings and a voyage from the UK to Australia. As a result of visiting Africa and many Island nations during his voyages, Peter became concerned with world poverty. Since then, he has taken cataract replacement equipment 200 miles up West Africa's Gambia River for Sightsavers International and has made his ocean-going yacht available for promoting such organisations as The Fred Hollows Foundation and youth poverty-action group The Oaktree Foundation. He is also very concerned that more awareness is needed for the dire consequences of Climate Change and the dangers of ignoring it. • Australian Certificate IV in Training. In 1978, he built and launched his first boat (a Van de Stadt 42) , which he kept at Burnham-on-Crouch on England's East Coast. He chartered it regularly across the North Sea to Belgium and Northern France through the shoals and sandbanks of the Thames Estuary. In 1981, he moved the Van de Stadt round to the Welsh island of Anglesey, where he found a different kind of sailing on the boisterous Irish sea, taking charter guests (male and female and of all levels of expertise) to such beautiful places as Port St Mary on the Isle of Man. In 1989, he decided on a new boat, Loquax, a 16 metre light displacement fast-cruising yacht this time. Once she was completed in 1992, Peter cruised the new boat through the rivers of France with his wife and three young daughters, arriving in Port St Louis du Rhone in the spring of 1993. Thus began the first fourteen thousand miles of his ocean sailing career. April 1993. From the South of France, Loquax sailed east to Corsica, Italy and Greece before crossing the Aegean to Turkey. Being near the end of the summer season in the Mediterranean Sea, it was time to turn the boat around and head for warmer climes of the Caribbean. After the family flew home from Almerima in Spain, he was joined for his first Atlantic crossing by two friends. Calling briefly at Lanzarotte in the Canary Islands for fuel, water and food, they made the journey of nearly 3000 miles in a shade under three weeks. In the Caribbean, he and his family explored the reefs and islands of the Windward Islands before they moved north to the Leeward Islands and the Bahama chain. In May '94, it was time to return to England. With only himself and his two older daughters, Ruth (15) and Suzy (12), they re-crossed the Atlantic Ocean by the "fast rough and wet route" going north to pick up the prevailing westerlies before heading east for Flores in the Azores and then on to England. In 1998, Peter began a new voyage - a circumnavigation, to take in the new millennium in Australia. For the first leg of his journey across the notorious Bay of Biscay, he was joined by his brother, Chas, and daughter Suzy (then 16) .They said goodbye to the rest of the family at Brest in Northern France - Ruth, recently returned from a year teaching in Brazil had decided to sit this adventure out, so was remaining in England - and crossed Biscay in September 1998, bound for The Canary Islands. In Gran Canaria, his brother returned to his job as a fire-fighter in Plymouth and Peter's wife, Sally, and youngest daughter, Sophie (then aged 13) joined Suzy and him to take the yacht to West Africa for their epic journey up the magnificent Gambia river. In conjunction with Sightsavers International, Loquax journeyed nearly 200 miles up the River Gambia to take medical supplies and equipment to bush hospitals where local eye-surgeons performed nearly 300 operations on local Gambians blinded by eye-cataracts. 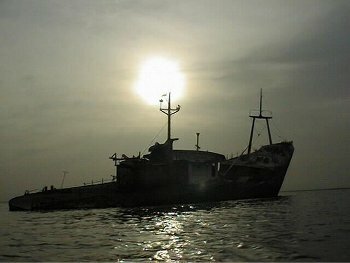 In November 1998, the yacht left West Africa with a crew of 6, including the two girls. In just over two weeks, Loquax was sailing into Bridgetown, Barbados where Sally, who'd had commitments back home, rejoined them. 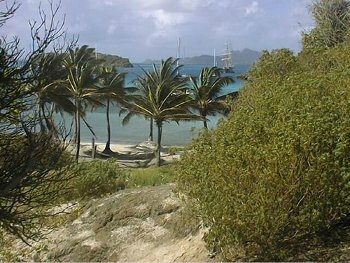 From then till February 1999, the family explored the Tobago Cays, Trinidad, Venezuela, Colombia and Panama before transiting the Panama Canal in its last year of American operation. From Panama, Loquax headed West to cover over 4,000 miles of ocean in a non-stop passage to the Marquesas Islands. This route takes sailors further from land than it is possible to go anywhere else on earth. During the Southern Winter of 1999 they crossed nearly 9,000 miles of the South Pacific, visiting places as remote as the Tuamotu archipelago, otherwise known as the Dangerous Archipelago, because of the strong currents and dangerous coral atolls that are strewn over hundreds of square miles of ocean at this point. Calling at The Cook Islands, Tonga, Fiji and Vanuatu, Loquax arrived in Sydney's Port Jackson on the eve of the millennium after nearly 19,000 miles and fourteen months at sea. This proposed trip of some 20,000 miles, leaving in the Southern hemisphere's spring, will hopefully allow time to stop and explore the Straits of Magellan in Tierra del Fuego, with its wildlife and dramatic scenery: surely one of Earth's most spectacular regions. Before visiting the Carnival in Rio in early March, there should be time for a quick visit to the remote Antarctic island of South Georgia to pay homage to one of Peter's greatest heroes, Ernest Shackleton, who was buried in Grytviken just a few years after his incredible expedition to Antarctica in the 'Endeavour'. 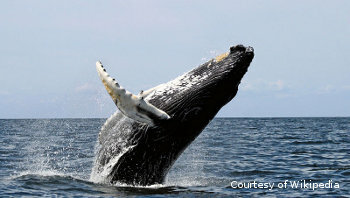 Whaling was a way of life in The Caribbean and The Azores, in the Atlantic. We will visit these important islands before calling at the outlying Shetland Isles on the way to Norway, still a whaling nation. Hammerfest, some 14800 miles sailing from the Straits of Magellan, is well inside the Arctic Circle, Peter expects to arrive there about seven months after leaving New Zealand in time for mid-summer in the Arctic.